What happens when children grow up with heart disease? There are many adults who have congenital heart disease. This means that heart problems they experience already starts at birth. Many adults have undergone surgery or procedures in childhood and felt themselves to be "recovered". 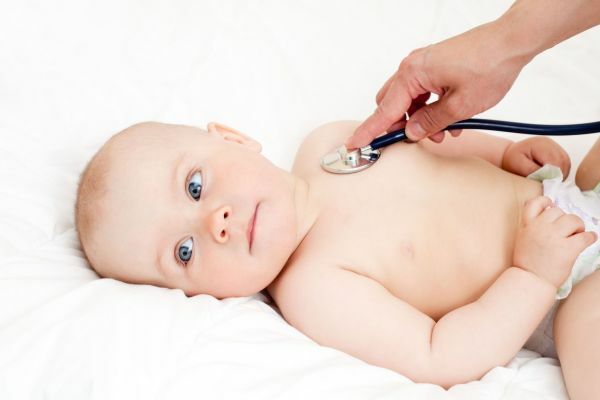 Thanks to advances in medical treatment and surgery, it is now believed that the number of adults with congenital heart disease while more than the number of children with congenital heart disease. This means that children with heart disease will be able to grow up just like the other kids. Whether a child or a family member with heart disease should get a flu vaccination? Yes! Flu vaccination is very important. The annual flu vaccination is able to prevent serious complications from influenza infection (flu). The vaccine changes each year so that annual vaccination is recommended. Certain patients may not be receiving flu vaccinations, for example, patients with allergies to eggs, the flu vaccine, or a patient with a weak immune system (e.g. organ transplant recipients). Whether to be worried if the child is unconscious? Fainting or syncope including the public. A common cause is standing upright or changes position as from sit to stand. Passed out of the ordinary — or vasovagal or vasodepressor syncope— stems from the imbalance of heart rate, blood pressure, and blood flow towards the head which causes loss of consciousness for a moment. Fainting is a common scenario: lining up, standing too long flag during the ceremony, stood when the shower and after using the toilet. Serious heart problems rarely cause fainting. Fainted during exercise or strenuous exercise is another story and is probably caused by heart problems, and should be assessed by a cardiologist. To prevent the increase of the amount of liquid in the episode passed out of the ordinary, extra salt in the diet and avoid caffeine usually helps. What tests are recommended for annual physical examination? The American Heart Association (AHA) recommends the patient history, family history, and detailed physical examination for physical examinations and screening annual sports participation sport. Universal screening or test with ECG or echocardiography is not recommended by the AHA. Universal screening or test can be a controversial topic. ECG or echocardiogram screening tests limited may not detect all problems are rare causes of sudden death in young athletes. In the U.S., the current AHA recommendations is a detailed patient history, family history, and detailed physical examination for physical examinations and screening annual sports participation sport. If the problem arises from this screening, assessment by a cardiologist may be needed. What is a cardiac intensive care unit? There have been many children's Hospital which opened the intensive care unit (ICU) is a specialist baby care, children, and adults with heart problems. Cardiac ICU has a staff consisting of intensive care doctors, a cardiologist, nurse practitioner, respiratory therapists, and nurses with particular expertise in neonatal care, for children and adults with congenital heart problems. ICU heart often differed from ICU (PICU) or neonatal ICU (NICU). Patients in the ICU heart can range from newborn with heart disease who have just been undiagnosed until the adult with congenital heart disease. 0 Response to "5 things you should know When you are suffering from heart disease"